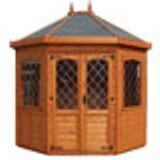 The Octagonal summerhouse will look fantastic in any garden. To the front is a half glazed joinery door with arched inserts fitted with antique hinges and ornate handle and lever lock. There are also two fixed windows and two top hung windows to the summerhouse. The arched inserts add a lovely finish to this building. 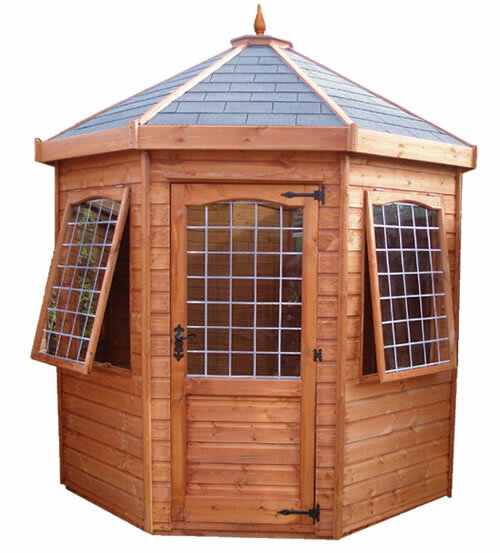 This summerhouse comes with the option of Georgian or leaded doors and windows. 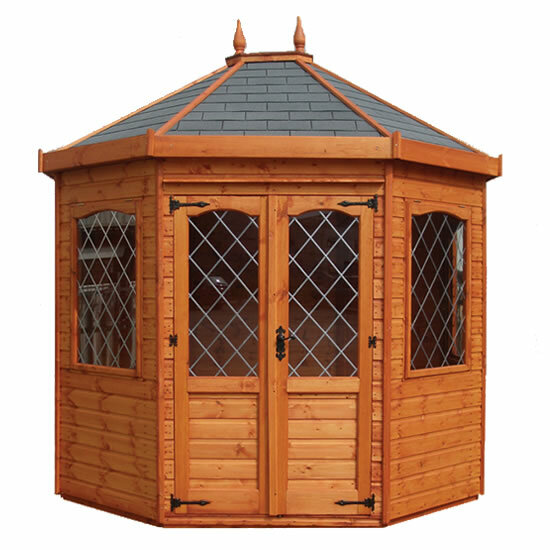 There are also many other options available such as, 15mm (0.6") log lap cladding, 18mm (0.7") premier shiplap cladding, toughened glass, heavy duty framing and various felt options.